1.0 out of 5 starsDO NOT BUY THIS PHONE! Hi Everyone, it’s my sincere suggestion NOT to buy this phone. I purchased this less than a month ago. Haven’t installed any major 3rd party apps and still this phone is troubling me. 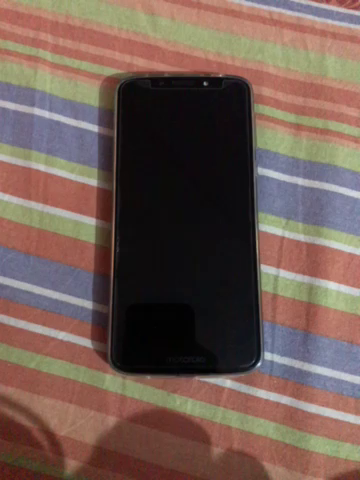 It shuts down automatically and then it becomes a huge problem to restart this phone because everytime you restart it, it switches off again that very moment. At this very time when I am writing the review, the phone is not even restarting now. My money is wasted. This phone is not worth buying. Don’t waste your hard earned money on this phone. I am a fan of Moto G series mainly due to its durability and have been using it since its introduction. But Moto E5 Plus disappointed me badly. A minor drop on the floor resulted in a damaged screen within one month of purchase. The 5000mAh battery also started draining very quickly within the same period even with normal usage. There are a no of other brands available for the same price, so choose wisely. Mobile has hang issue and front camera quality is bad and it hang during the phase change.i.e. from back to front camera. phone heats during the call and charging . I requested to amazon for return but they are denying for return. Only one option I have to go to consumer court. I've been using this mobile for more than a month now. It is very handy. I love big phones with good camera and this phone really suits my need. The storage capacity and the power of the battery makes it a best phone than the ones I've been using before. 1.0 out of 5 starsWorst phone don't buy. 1.Rapid charging ( just for attention only never mind) even it takes more than 6hrs to charge to get 100%*note when the phone is off. 3.lock buttons & Volume buttons in wrong position. Why only hype is created related to Battery, in practical its not. Surprisingly, phone is getting appreciated by friends. Little heavy and bulky and not suitable for people wanting light phones.